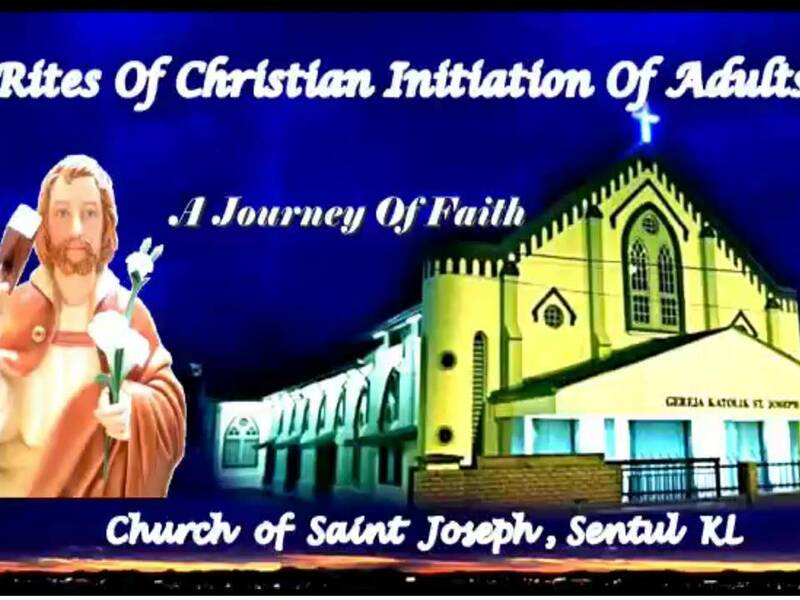 The history of St. Joseph’s Church in Sentul is made up of events that shaped its growth as a Church. The primary event that shaped Sentul was the construction of the Central Railway Workshop in 1903, by the Federated Malay States (FMS) Railways. The British Government approved the Central Railway Workshop to be built in Sentul because of its strategic location in the Malay Peninsular. It is about 3 miles from the Central Railway Station, Kuala Lumpur. The Sentul railway workshop was to repair, maintain locomotives and build carriages. Around this time other economic activities started to emerge in Sentul, parcels of land were opened up for the purpose of agriculture. Rubber and coconut estates, stretching from present day Union Flats area to Sentul Pasar Dalam were a common sight in 1903. Tin mining activity was also in progress in the area presently known as Bandar Baru Sentul and extending towards Batu Caves. These hive of activities drew in many people into Sentul and among them were a number of Catholics who were employees of the FMS Railways. They stayed at the Artisan Quarters in the Railway Township Area, situated along Jalan Ipoh in Sentul where the Sekolah Kebangsaan Utama now stands. It is reported that for Sunday worship the Catholics from this railway community walked all the way to St John’s Church in Bukit Nenas. Fr. Victor Renard through his wisdom and far sightedness acquired a parcel of land for a Chapel and School in Sentul Pasar. In 1906, a small Chapel with a 3ft semi-wooden-brick wall with Chinese roof tiles was built. In July of the same year, the Chapel was blessed and dedicated to St. Anne as Indians generally had deeper devotion to St. Anne. Due to the unavailability of Missionaries Eucharistic celebration was held whenever a priest was available. It is reported that celebration of other Sacraments were held in St. John’s Church. As the Catholic population increased in Sentul, Fr. Victor Renard and Fr. Louis Duvelle observed that a vast majority of them were workers from the F.M.S, Railway Central Workshop. This led Fr. Victor Renard to rededicate the chapel of St. Anne to St. Joseph. Thus, St Joseph’s Chapel took root in Sentul on 15th November 1908 as a symbol of dignity to the workers in Sentul.